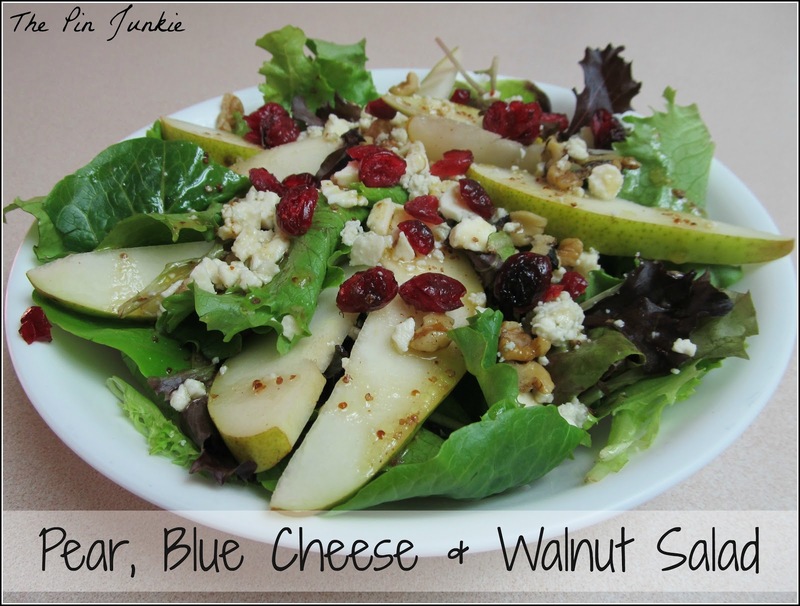 This recipe was actually inspired by Trader Joe’s! Trader Joe’s sells a pre-made southwest chicken salad that I really love so I decided to make my own. To make it easy, I use canned corn, canned beans, and pre-made, bagged salad mix. This salad is a great way to use up leftover chicken, too. This salad is light and fresh and I love the honey and lime dressing. It adds a lot of flavor without a lot of calories. 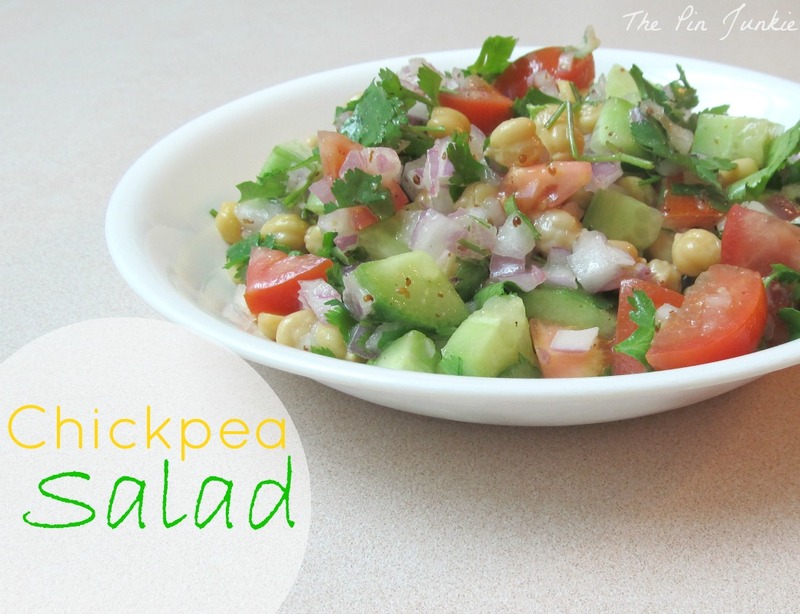 You can quickly make this recipe to serve as a side dish or to enjoy for a lunch or light dinner. I know not everybody likes cilantro. If you don’t like it, you can just leave it out. If you’re like me and love cilantro, here’s a great tip for keeping it fresh. As soon as you bring it home from the store, place the stems in a glass of water, just like you’d do for a bouquet of flowers. It doesn’t need to be refrigerated, just leave the cilantro on the counter. 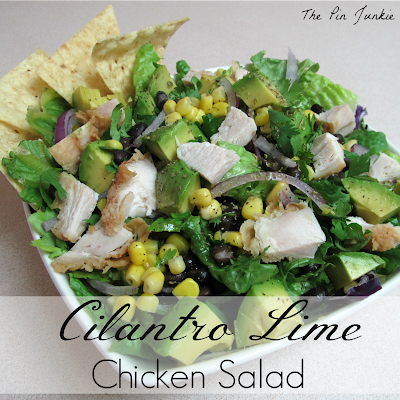 The cilantro will last a few days longer and be fresh when you’re ready to make this delicious salad. This recipe is for one serving. If you’re making it for a crowd, just multiply the recipe. 1. 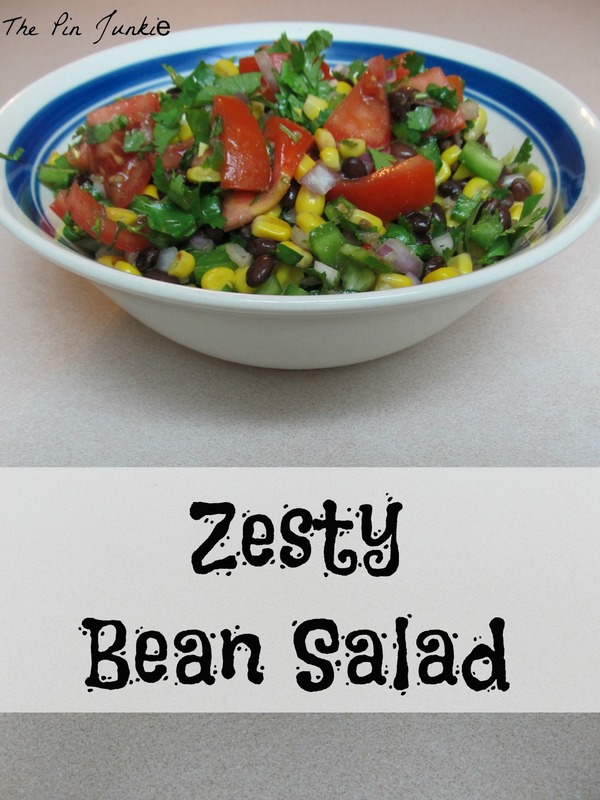 In a bowl, toss together the salad ingredients: chicken, beans, corn, lettuce, cilantro, avocado, and red onion. 2. For the dressing, mix the honey and lime juice in a small bowl. Add olive oil and oregano to the honey and lime juice mixture. Mix well. 3. Drizzle dressing over the salad. 4. Season with salt and pepper to taste. Add tortilla chips for garnish.